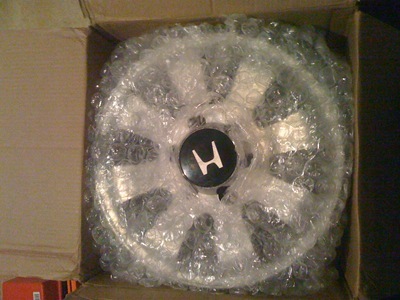 Does this wheel look like it would fit on a Nissan Xterra to you? After informing the seller of the snafu, he quickly figured things out and is sending my wheel out with a return label for the Honda wheel I got. No problem but glad we’re taking care of some of these things early.